SHORT CHRISTIAN SERMONS provide short Christian sermons and explain how to write a short Christian sermon for special occasions. SHORT CHRISTIAN SERMONS are short messages you can write for special occassions or events. An opportunity may come your way to share a devotion or a teaching segment in the church or a Christian school. Short Christian Sermons are ideal for these special occassions. Writing a short Christian sermon is not easy because it usually has a time restriction. Therefore, you must structure your short Christian sermon well. The structure of a short Christian sermon still follows a normal sermon. It has an introduction, a body, and a conclusion. The only thing you need to do is shorten the content of the introduction, body and conclusion so that you can share your short Christian sermon within five minutes or so. 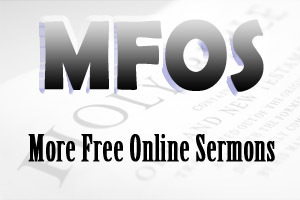 For more information on short Christian sermons, click on SHORT CHRISTIAN SERMONS. Kaity was a typical young teenage girl who wanted to live life her way. She was mischievous. She would wag school and things like that. Also she was rebellious. She would fight with her parents and those in authority. Furthermore, she struggle with respect—respect for others and respect for herself. Although life was not too bad, she grappled with depression and meaning in life. In many ways, she really didn’t know what she was looking for in life. An opportunity came for her to hear about Christianity through her school. A group of Christians came to her school and shared their Christian faith through a concert program. Kaity’s life changed when she became a Christian. Instead of living life her way, she began to live life God’s way. Of course, we find these ways in God’s Word—the Bible. Can I encourage you to find meaning and purpose in life by coming to Jesus in repentance and faith (Mark 1:15) and by living life God’s way!